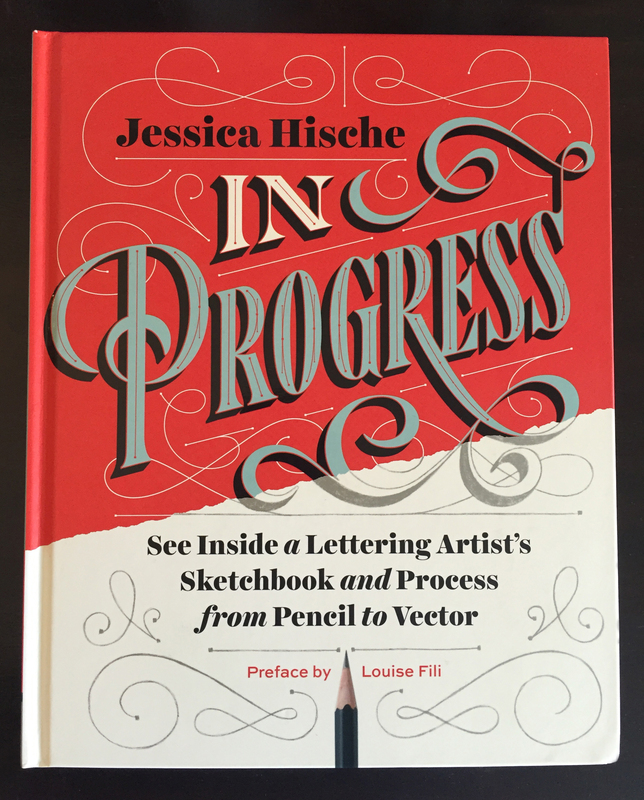 To those that know Jessica Hische’s work, it will come as no surprise that her new book, In Progress, is an absolute beauty. Honestly, I don’t think we would expect anything less than gorgeous. 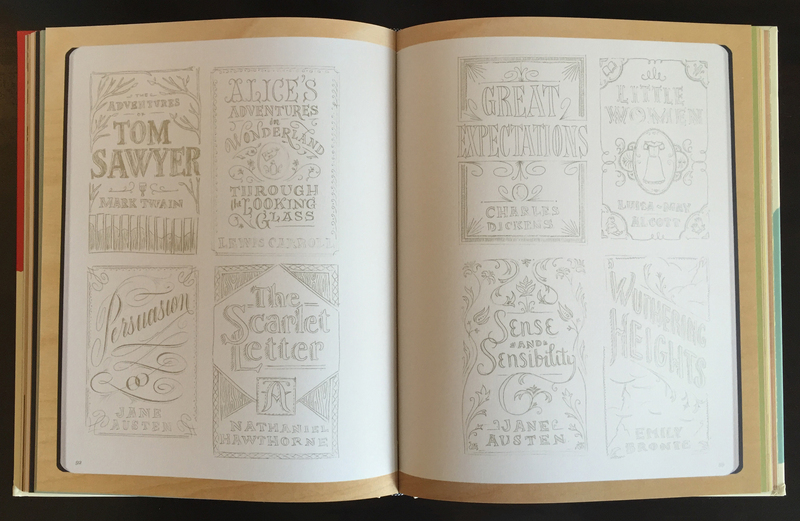 From the cover to the end papers, to even the ink choices (she used silver ink! 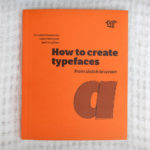 ), In Progress is an amazingly well-put together book, from beginning to end. When Jessica was approached by Chronicle Books, she said she did not want to create a monograph because she felt it was too early in her career. 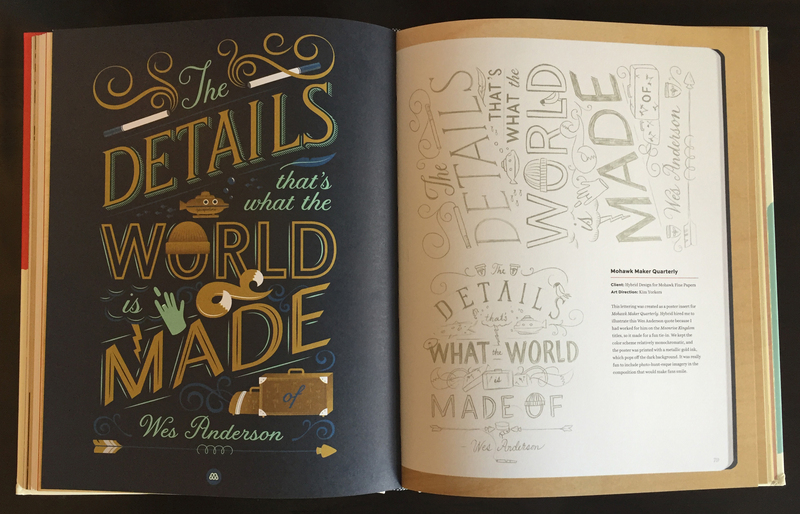 So instead, she set out to create an informative, vector focused, lettering guide. I took personal delight in seeing her sketches, which are equally as beautiful as the finished works. 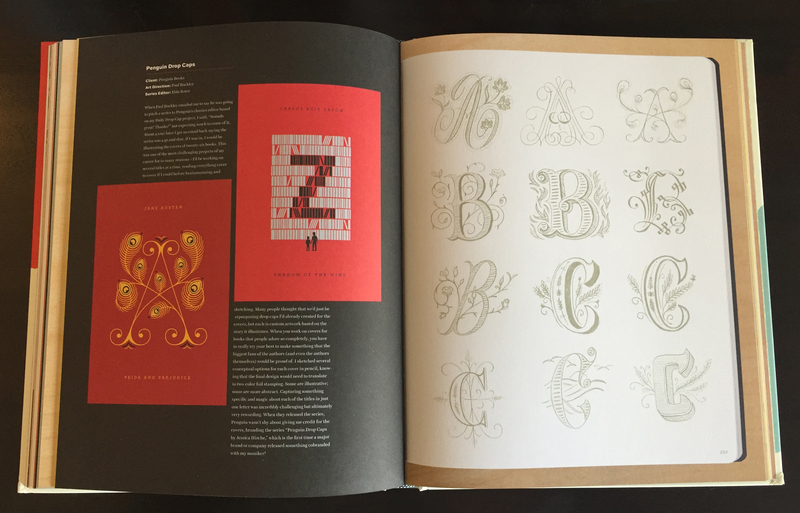 The first part of her book covers the process of lettering, from the anatomy of the letters to different styles, weights, and more. She gives many examples of varying styles and ways to embellish our lettering. She even shows her process for vectoring lettering and takes us through step by step, covering terminology and giving tips and tricks. 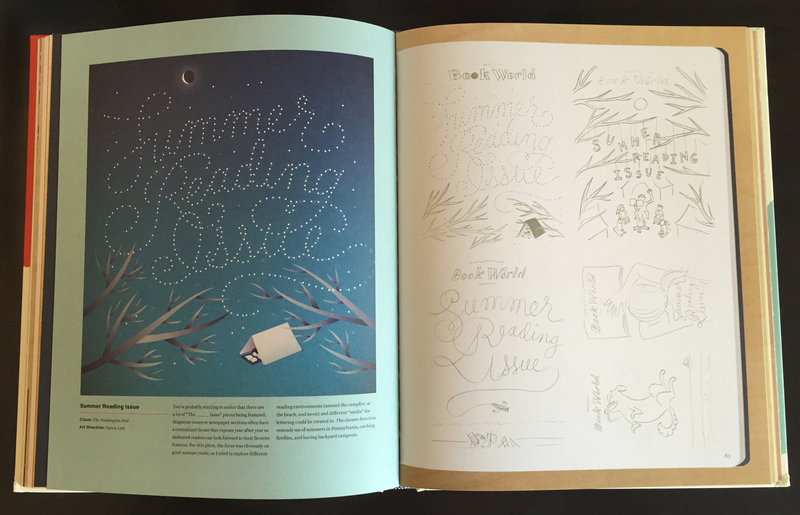 The second half of the book shows her final projects alongside the sketches for the work. It’s impossible to not sit and admire the preciseness of her sketches and lettering, and to see the work from the beginning to end is a real treat. 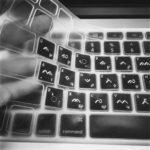 Beginners will take away knowledge that they may not find on the Internet alone and professionals will enjoy the beauty and thoughtful presentation of the photos. I don’t personally work in vectors, so I find it a very good resource should I ever decide to take that plunge. Jessica also covers the various tools that can be incredibly useful in the analog (sketching) stages of working with lettering. 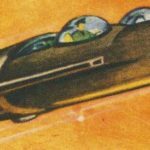 The variations on lettering styles, drop caps, inlays… are just a wonderful resource for reference, and she goes into detail about each style throughout. 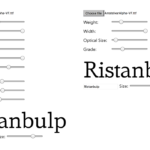 She also lists software and other useful tools for working with lettering digitally, including resources for building your own typefaces. Honestly, the only thing that could make this book better is if there were 200 more pages! I kid, but seriously, I love seeing all her sketch work throughout. In Progress can be purchased on Chronicle Books’ website, Amazon, and other online venues. Shauna Lynn Panczyszyn is a hand lettering artist and illustrator in Orlando, Florida. 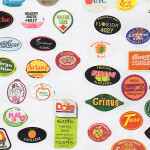 She has an unhealthy obsession with type, vintage labels, and Disney. Shauna Lynn works out of her home studio in her apartment with her puppy, Teddy.